Do you want to see the photo that sent me down the rabbit hole dying to find more beauty like this from photographer Louise Lemaire? Yes, you are right -- that is lovely, especially for a kid's room. When I was teaching in Morocco, I noticed that Leslie had it in her inspiration folder during the class I taught. It was pretty funny to see that image in her collage because right before I flew to Morocco I had pulled the same photo from an issue of VTWonen and posted it on my wall. There is sometimes this magic out there like that, don't you agree? Where you find a particular thing quite inspirational and then you discover a dear friend was on the other side of the world (Leslie lives in Los Angeles) adoring the same thing. Gotta love kindred spirits. 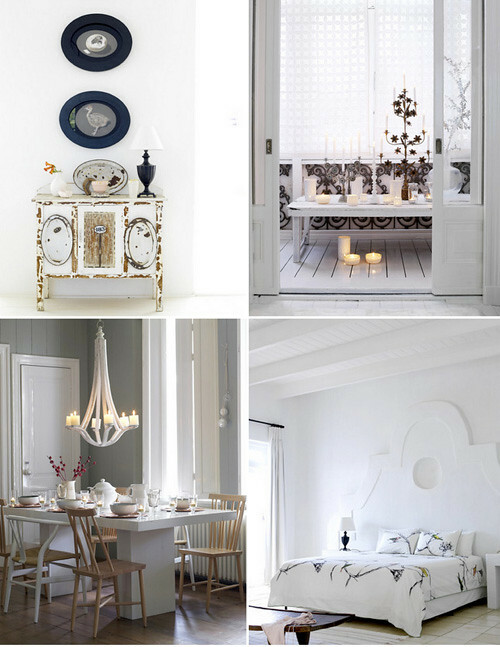 Louise Lemaire Photography is a photo studio based in Amsterdam led by Louise Lemaire who shoots interiors, lifestyle, stills and food photography for a number of magazines like a favorite of mine, VTWonen. Few magazines inspire me lately because they all feel repetitive and ad heavy, but VTWonen is different because they show lots of fresh spreads that I'd not seen before and they don't seem to buy in the same articles that are in the English language design magazines that I read from other countries so the images feel current and fit the aesthetic of their magazine so perfectly each and every time. 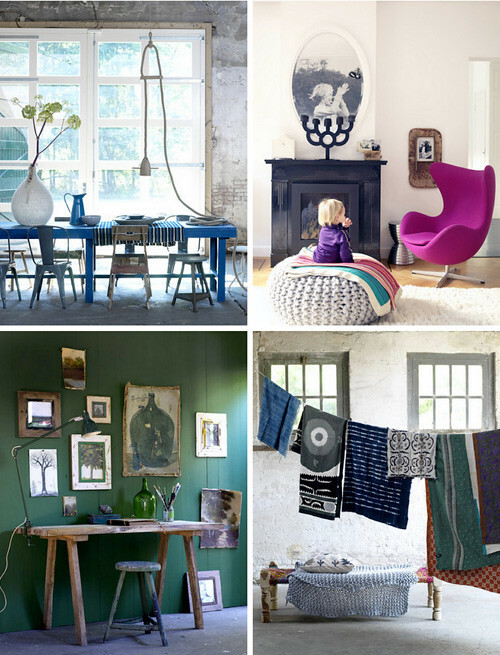 Louise also shot the home of talented Ingrid from Wood & Wool stool, the two images above are of lovely Ingrid. It hardly seems fair that she is so gorgeous and talented, does it? In addition to her beautiful crochet-covered wood stools, I wish she'd sell boots like the ones she wears! I would love a pair and the Dutch girls I meet seem to love their western cowgirl boots. Oh Louise, your photos inspire me so much and if you're reading this, I want you to know that I'm a big fan of your work and spend lots of money on magazines because of you! ha ha! 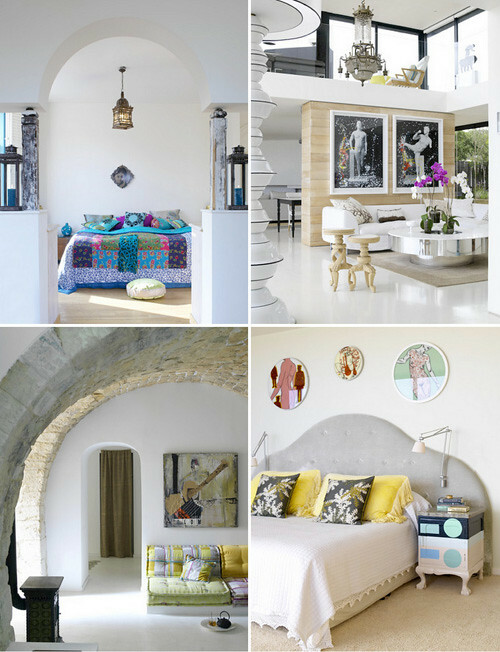 I'm so honored to share your work on decor8 today!